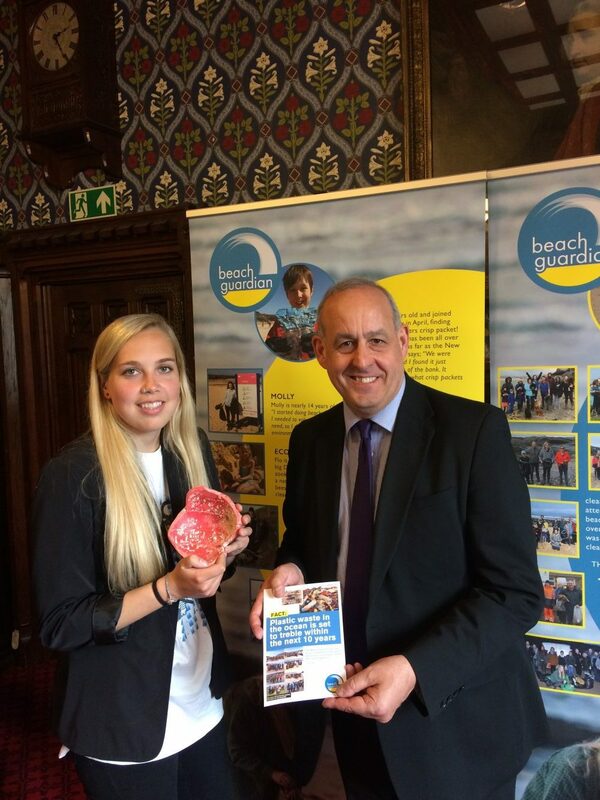 It was good to meet with Beach Guardian today in Parliament to discuss the impact of plastics on our beaches. Beach Guardian informed me that over the next 10 years plastic waste in the ocean is set to treble. That is why I supported their pledge to clean up our beaches. They will be engaging with over 1,000 volunteers of all ages in their first 12 months. The plastics collected from local beaches are then used to deliver Educational Activities with primary schools and other events and they will share their message with 5,000 children in their first twelve months.